Associated Sales & Leasing is proud to announce that we’ve been named a 2018 CarGurus Top Rated Dealer! We are privileged to be part of the top-performing dealers who share in our commitment to build strong customer relationships and offer high-quality service. Our customers are our top priority and we strive to deliver a great experience each and every time. We’re honored to have been selected for this award and will continue to provide quality service and family atmosphere here at our dealership. 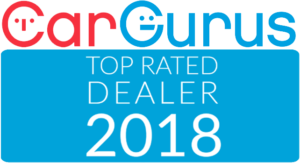 The CarGurus Top Rated Dealer Awards recognize a select group of car dealers who provide the highest level of customer satisfaction from shoppers who have submitted reviews through the CarGurus platform. Each of the dealers receiving the award provides exceptional customer service as expressed in their customers’ online reviews.